BTW driver, because you asked a while back. I have been told that the company will send out the Bonus amounts to us by email after they get the details back from the union. The time frame we are hearing is around the end of April. Well in advance of the closing of voting by 5-21. Thanks have a great weekend.! I am and hope you do the same. Sent you a PM. As we wait for our ballots in the mail to vote for or against the current T/A here's an interesting time frame of the events over the past 6 1/2 years of waiting for our agreement. Time to take a look at the RLA and some changes are needed as time has moved from way back when it was produced. On Saturday March 16, AMFA (Aircraft Mechanics Fraternal Association) and Southwest Airlines "); background-size: 1px 1px; background-position: 0px calc(1em + 1px);">came to an Agreement in Principle on a new contract. We"); background-size: 1px 1px; background-position: 0px calc(1em + 1px);"> now have that Tentative Agreement out for our members to vote on. It has been nearly 7 years of negotiations to get to this deal. The amendable date of our prior contract was August 16, 2012. AMFA members have been without a raise for 2,400+ days…and counting. During this time, we have negotiated nearly every month. We have had 74 prior negotiation updates since we began this round of negotiations. If this deal is approved, it will extend into 2024. To understand the labor negotiations process, it’s best to go back to the introduction of the Railway Labor Act. By the 1920s, the railroad industry controlled nearly all interstate traffic in the United States, both freight and passenger, and employed more than 2 million workers. Decades of labor unrest, widespread and sometimes violent work stoppages led the federal government to work with industry and union leaders to create a new way of resolving labor disputes. Railroad management and unions prepared the Railway Labor Act (RLA), which was passed by Congress in 1926. The RLA guaranteed the right to join a union of their choice and to engage in collective bargaining. It also established procedures for the orderly resolution of labor disputes. In 1934, Congress created the National Mediation Board to administer the RLA. In 1936, the RLA was extended to cover interstate air carriers. In 1951, the RLA was amended to permit union shops and dues check-off agreements. Our negotiation process with Southwest Airlines, which took more than 6 years, is a product of the 83-year-old relic called the Railway Labor Act (RLA). Under the RLA, a collective bargaining agreement does not expire — it becomes amendable and remains in force until modified by management pursuant to contractual authority, by agreement of the parties, or by unilateral implementation during a period of lawful self-help. The collective bargaining process begins when parties exchange notices indicating a desire to change wages, hours and working conditions. Thereafter, the RLA imposes on the parties the duty to exert every reasonable effort to reach agreement. This also serves to ultimately eliminate the threat of a strike by workers. Here’s the bottom line — the collective bargaining process has not changed in more than 80 years. The recent situation with AMFA and Southwest Airlines shows the RLA gives airlines an incentive and means to extend negotiations with no recourse, no accountability and no negative consequences for deliberately dragging out or delaying collective bargaining. This tactic means management feels no urgency to come to a new agreement. The RLA allows a company to show they are doing enough to “exert every reasonable effort to reach an agreement” in the collective bargaining process. And here we are, 6 1/2 years later. 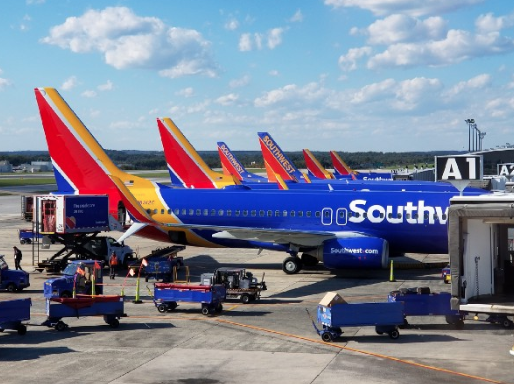 By using the RLA as a means to delay, Southwest bought time to allow its competitors in the industry to catch up in wages and benefits, to implement an industry-competitive wage. We are glad to be nearing the end of this long negotiation process. Until the process is changed, labor in the airline industry remains in a disadvantaged position versus management. But our patience and determination was crucial to earning the proper deal our members deserve, and we believe we are nearing that as we move toward a vote on the Tentative Agreement.